Following on from our first two widely-read Q+ A posts from a specialist certifier (a registered engineer and architect) we received this contribution from a registered surveyor who will be providing certifier services in a rural location. As with previous posts these standard questions are the ones a client or design team would ask of any potential specialist Certifier. We recently invited submissions from surveyors, engineers and architects who intend to provide specialist certifier services for SI.9 to the construction industry. We think these three posts are very practical information for practitioners and consumers alike regarding anticipated duties and timescales, and consequent costs to design teams and clients of Building Control (Amendment) Regulation (SI.9 of 2014). Diploma in Building Surveying (RICS Accredited Degree) College of Estate Management, University of Reading. DIT Education course for Independent Assessors for EPD. City & Guilds Diplomas Level 3 and 4 for Non Domestic BER Assessors. Registered Building Surveyor under the Building Control Act 2007, as administered by the Society of Chartered Surveyors of Ireland. Do you have Professional Indemnity insurance, and if so to what level? Do you require a full design team to be appointed to projects for which you assume certifier roles? This will depend on the type and scale of project, generally for domestic work, an Environmental consultant would be employed, the additional services of a Chartered Engineer may be required. From our 19 years in business, we have established a network of other professionals to call on, Quantity Surveyor, Land Surveyor, M&E Consultant, Health & Safety Consultant, Environment Consultant, Conservation Architect, Heritage Consultants and Archaeologists. Whatever the project, a suitable team can be appointed. Will you undertake roles of assigned designer and assigned certifier on projects? What are your charges- is it lump sum or %? For typical house (120 sqm value €180k) what would a “normal” certifier service and charge be for design and assigned certifier role? Before persons built from Planning Drawings, and even less. 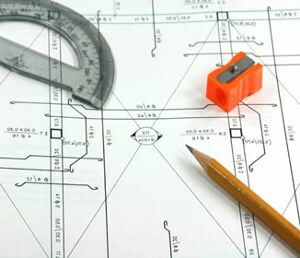 From now on all projects will require the preparation of working drawings, specifications and details to show compliance. These we have prepared in any event for clients requiring our full service, so there would be no great difference there. The noticeable difference will be the additional inspections and increased administration required. The Assigned Certifier fee would be in the region of €150-225 euro per site visit, (Take an average of €187.50 per visit, with 30 visits, average fee would be €5,625 euro.) This will also depend on location and complexity of house. Other factors not included for example, contract administration, issuing of interim stage payment certificates, stage payments to banks, issuing Opinion on Compliance with Planning Permission. For typical house what level of inspection would you anticipate? Do you have a breakdown for a typical house inspections vs administration? What forms of appointment do you use? What level of information do you require from other professionals involved in projects? E.g. as-built drawings on completion etc? Will require their initial design data, and drawings. On completion their as built drawings, documentation, and Ancilliary Certificates. Do you provide certification services for self-builders, owners without 3 years relevant contracting experience, or will you certify only CIRI registered contractors? Self builders NO, Registered Contractors, YES. We will provide certification for self-builders WHEN the Minister changes the wording on the forms to include for self-builders. The Opinion is that it is currently illegal for a self builder to sign these forms, so why be a party to an illegal act.!!! Will you provide certification services for developers in the build for sale sector (i.e. employed by developer)? Can you provide fire safety certificate and disabled access certificate services also? Will you undertake certifier duties for self-builds? where the owner is not an established contractor, a building company or someone with 3 years relevant building experience? No, not until the Minister changes the wording on the Certificates to include for self-builders, which is a pity, I was involved in quite a number of self-build projects over the years and had no issue. Clients wanted the job done right then and abided by whatever the regulations were applicable at the time. We will wait, see and HOPE! Can you undertake BER certificates? No longer a SEAI Assessor, but I do carry them out to check for Part L compliance initially on our own projects, before handing over to a registered assessor for certification. Based in the South-East, have recently carried out work in Cork, Dublin and Athy, cover an area of 1.5-2 hours drive from office, but for Assigned Certifier roles will keep within a 50k radius of office, otherwise one would be spending more time in the car, than inspecting and carrying out paperwork. We are also an Interior Design based practice, so we can add that extra bit of design flair and colour to your project, to make you forget all about SI9 and Minister Hogan, allowing you to relax in the ambience of your new home.